This time last year I was in the middle of my first round of chemotherapy. I had completed seven rounds and had five more to go. Today, I am celebrating six months chemo free! That would not be possible without the hard work and generous support of many people I will never meet. Thru the years there have been doctors, scientists and many others working to find a cure. My chemotherapy treatment came to exist as research was funded, studies done and improvements made. My family and I cannot express the depth of our appreciation for their hard work and sacrifice. When I was first diagnosed we talked with my Oncologist about a cure for the type of cancer I have. He said, “There currently is not a cure for what you have. Our goal is to keep you alive using the treatment plan we have as they develop a better one.” It is was an interesting thing to think, and pray, about as I sat through treatment after treatment. When the Relay for Life came around last year I had just been diagnosed. My treatment had just started. Kathy Allaband got me a survivor shirt and got me to walk the survivor lap. I protested a little bit, saying I had just started treatment. She responded by saying, “You are going to beat this.” It was a word of confidence and promise I clung to at some of the darkest moments. 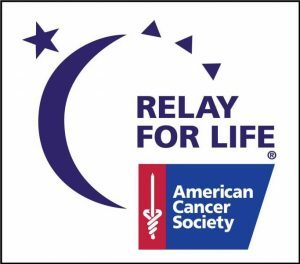 First Baptist Church will be hosting a mini-Relay for Life on August 26th. Our team, “Prayers for the Journey” is working together to help raise money to continue the fight against cancer. It will be an exciting day and if you are in the area I hope you can join us. I recognize that there are many people who ask for support for a wide variety of causes these days. We each need to figure out where and how to use the resources God has given us in a wise way. If you feel led I would be honored if you joined our team and help us raise money to find the cure for this terrible disease that strikes so many people. 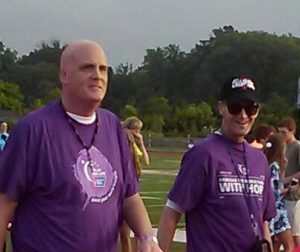 The link below will send you to my Relay for Life page where you can make a donation. Thanks in advance for your help.